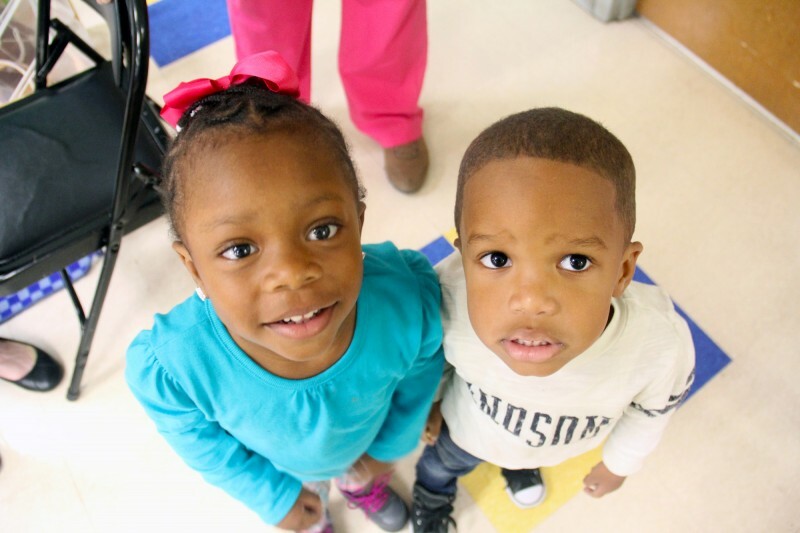 This article is the first in a series investigating the child care system in Mississippi. JACKSON, Miss. — Mississippi’s weakly regulated child care system often perpetuates dangerous conditions for babies and young children by failing to hold centers to minimum standards or help them improve, a review of public records by The Clarion Ledger and The Hechinger Report found. Interviews with workers at 30 centers and a review of 393 inspection reports and 79 complaint investigations from centers in central Mississippi reveal that regulations are inconsistently enforced, assistance for centers is often minimal and punishments don’t always lead to better conditions for children. The complaints included allegations that children were hit by workers, sexually assaulted by other children or sent to the hospital after being injured. The investigations that followed were often superficial, according to documents filed from February 2013 to December 2014, obtained under the state’s Public Records Act from the Department of Health’s Division of Child Care Licensure. The health department identifies five violations on its website that it says “may endanger children,” such as leaving children alone in a classroom or leaving one adult to watch too many children. Twenty-three centers, roughly 6 percent of the sample of inspection reports, had a letter or other indication in their file that a fine had been assessed for one of these violations. Seventeen of these centers had previously been penalized for breaking one those regulations. At least 8 centers in the sample had more than $1,000 in previous fines for breaking various regulations including the five the health department has singled out. 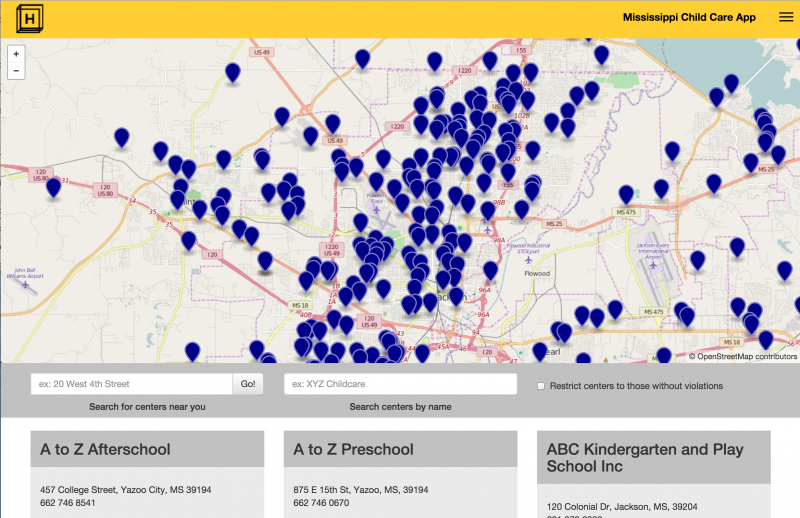 Map: What do state records say about your child care center? A center was found to not be at fault when a baby burned his hands on an exposed pipe; another center suffered no consequences for leaving one worker in charge of 77 school-age children — despite regulations calling for him to be in charge of no more than 25. At one center, a licensing official who thought she witnessed a worker using “incorrect discipline” took no action because the worker denied the potential violation when asked. Another center, accused by a witness in a police report of leaving five to six children alone in a van while a worker went into a gas station, had its penalty reduced from $500 to $250 when the center protested. The findings illustrate what some national experts have long said: Mississippi has some of the lowest standards for child care centers in the country, and its oversight regulations are among the nation’s weakest. Mississippi ranked 38th in child care oversight on a list that included all 50 states, the District of Columbia and the Department of Defense, and was 35th in program standards, according to Child Care Aware, a Virginia-based nonprofit. In many cases, the system of 1,521 licensed centers does work. Thousands of children in Mississippi attend child care centers, most of which are privately run and publicly regulated, where they are kept safe and where providers are working with limited funds to give the kids the best care possible. A handful of state-funded or nonprofit programs in the state have also been working with centers one-on-one to help them make improvements. Having high-quality child care is critically important for children to develop socially and academically. Many of the state’s children start school behind and never catch up, setting a dangerous trajectory in a state where 23 percent of the population lives at or below the poverty level and more than 18 percent of people age 16 to 24 are not in school or working—the third highest number in the country, according to an analysis of census data by nonprofits Measure of America and Opportunity Nation. Ineffective oversight of child care is not just a Mississippi problem, however. Experts have long said the industry, which serves 11 million children under the age of 5 across the nation, desperately needs more attention. And although requirements for centers and caregivers differ by state, Child Care Aware’s “We Can Do Better” reports perennially find that nearly all states lack high-quality child care systems. States like Mississippi that receive federal funding through the Child Care and Development Block Grant (CCDBG) to help low-income parents pay for child care must meet federal requirements. For decades, these have been minimal, although new CCDBG regulations set to roll out over the next few years will add requirements, such as insisting that all child care workers at centers that get federal funds have received relevant training. There are two primary reasons a Mississippi health department official will visit a center. One is to investigate complaints. The other is to identify health and safety issues during unannounced, routine inspections and follow-ups. The state’s health department said the Division of Child Care Licensure is underfunded and understaffed. It has struggled to visit each center twice a year and to investigate all complaints. And because the results of these inspections are not accessible online to the public, as are inspection results in other states, Mississippi parents have no quick, easy way to evaluate private daycare centers. Although nearly all center workers interviewed for this article said licensing officials do a comprehensive job covering the health department’s checklist, the average inspection at each center in the sample lasted just one hour and 40 minutes, according to the Hechinger Report’s analysis of records. In January 2014, when licensing officials Veronica Bolls and LaRonda Canada arrived at a child care center identified in their report as Kids Express 2, in Jackson, they had a list of complaints to investigate, according to health department records. Among them: that the staff grabbed children, that children were given expired milk and that in the evenings there were too few adults for too many children. According to the report, when officials arrived, center owner Latasha Williams was watching 59 children ages 1 to 4 in one room, while a staff member watched 27 school-age kids elsewhere and a student volunteer separately supervised another 18. Under the state regulations, staff-to-child ratios are based on the youngest child in a room. For 1-year-olds the ratio is 1-to-9; for school-age children 10 and over it’s 1-to-25. According to the health department record, Williams told the officials that a van used to pick up after-school children and bring them to the center had broken down stranding two of her employees and that two other employees had left the center to pick up their co-workers. Instead, they waited half an hour until four workers showed up (with no children, the report notes). They allowed the staff to redistribute the children at the center and watched as some kids and staff left before counting again. There still were too many children — but the officials recommended a fine of $1,000. The records didn’t include any indications the center had received other complaints or fines. The investigation at Kids Express 2 is one of many examples The Hechinger Report found in which licensing officials gave centers the benefit of the doubt. Although complaints and inspections are public records and often free to parents, they must be requested in writing and the department has up to 14 working days to respond. Thirty-one states and the Department of Defense put findings of inspections online so that the public can review them easily, according to a 2013 Child Care Aware report. Mississippi’s Department of Health said it plans to put this information online, as it already does for restaurant inspection results, but the project is on a waiting list with a number of other state projects overseen by the Department of Information Technology Services. The list was added to the website after The Hechinger Report and The Clarion-Ledger began their investigation in July 2014, and after publication of articles detailing the journalists’ request for records. The Hechinger Report and The Clarion-Ledger requested complaint and inspection reports for every licensed child care facility in District V, which spans a large part of Mississippi, including Jackson, Vicksburg and Yazoo City. The department said it would cost $40 an hour to pay someone to pull the records, a fee that was reduced to roughly $20 per hour after The Hechinger Report filed a complaint with the Mississippi Ethics Commission. Department of Health regulations state that a center “may not operate without meeting the minimum standards” it has set. Yet the analysis of the records found that 63 percent of 393 centers reviewed were out of compliance with at least one regulation. At least 25 centers had classrooms that failed to meet the staff-to-child ratio, which varies by age from 1-to-5 for infants to 1-to-25 for children ages 10–12. At least 9 centers left children alone with workers for whom they had no FBI background check on file. According to the health department, no child care center licenses have been revoked in the last five years. Many advocates and center directors say that’s the way it should be; centers with violations should be helped, not shut down. Reporters also visited 40 child care centers and interviewed directors, owners and employees at 30 of them. Some centers were clean and filled with toys and books, and children were engaged in activities with well-trained teachers. At other centers, reporters saw babies sleeping with blankets over them or in car seats, against American Academy of Pediatrics (AAP) recommendations of best practices to prevent Sudden Infant Death Syndrome. Six of the centers visited violated the department’s staff-to-child ratio regulations — two left children with no adult supervision at all. At one center, the front door was unlocked and four preschoolers were lying on the ground in a dark room, unsupervised for at least five minutes while music blasted from a back room. The children said the only caregiver on the premises was in the bathroom. She did not answer when called. On some measures, the Department of Health’s Division of Child Care Licensure does well. In 2010, Save the Children, an international nonprofit focused on children’s health and safety, recognized Mississippi as one of 12 states that met its emergency preparedness standards. Mississippi also received an award from the National Program for Playground Safety for showing “exemplary care and concern for children by creating safe play environments,” according to a health department press release. Roughly half of the centers with kitchen inspections in the sample received A’s, although the official did not observe food preparation and cooking. “There are no requirements for an inspector to observe cooking to pass a food service permit inspection,” the health department’s Jim Craig wrote in a statement. He noted some programs only serve prepared food or snacks and do not cook, but still must have kitchen inspections. When health department officials aren’t in child care centers, they rely on calls from parents, employees or concerned citizens to highlight potential issues. In the sample of records provided, there were 79 complaints about child care centers: that a child had been hurt, for instance, or that a center was habitually violating regulations. The department is charged with investigating these complaints to determine if the center is at fault and, if so, how to respond. The records suggest there are some cases in which investigations fell short. In one case, a caller complained that a center left one teacher alone to watch three classrooms between noon and 12:30 p.m. each day. An official went to investigate — at 1 p.m. At that time, teachers were present in all three rooms, but the report noted the center might be subject to a “monetary penalty” for having one adult watching one infant and five 1-year-olds — one child over the allowed staff-to-child ratio. At another center, a teacher was accused of spanking a child. Corporal punishment is prohibited in Mississippi child care centers. During the hour-and-14 minute complaint investigation the teacher was out to lunch. An official looked at her file, but there is no record the accused teacher was ever questioned. In many cases, the health department’s investigations rest on one person’s word against another’s, which can be frustrating for a parent searching for answers. Shequita Lowe picked up her 3-month-old son from daycare on a Tuesday afternoon in 2013 and noticed something pink on his clothes, according to a letter she filed with the health department a few days later. That night, Lowe wrote, the baby vomited a pink substance, and “panic stricken,” she rushed him to the emergency room. Lowe wrote in her formal complaint that the hospital examination determined her son had been given either juice or cold medicine — which can be dangerous to infants. He would be fine, but Lowe confronted the employees at her Jackson child care center the next day. According to her complaint, workers there suggested he might have accidentally ingested another child’s strawberry milk or gas drops. At least 25 child care centers had classrooms that failed to meet the staff-to-child ratio. Two days later, health department licensing officials spent an hour and a half investigating what had happened to Lowe’s baby at the center. Inspectors noted that they didn’t find any medicine at the center. They recorded their conversation with the director, who said her workers hadn’t done anything that could have made the boy vomit and gave a written statement. Parents who filed complaints about other child care centers received letters similar to Lowe’s, including one parent who complained about “a school age child putting his private area in [her] child’s buttocks.” According to the health department records reviewed by reporters, it was one of five reports that included allegations of sexual misconduct among children. In November 2013, a caller told the health department that a female worker was “whipping” children at Breath of Life, a Jackson daycare center, and held out the phone so the licensing official could hear a child crying in the background. Two licensing officials spent an hour and five minutes at the center and gathered three written statements, including one from the center’s director, Patricia Jordan, who wrote that she was unaware of the incident. Of the 79 complaints reviewed by reporters, the “whipping” case was just one of many involving adults allegedly striking children. Complaints alleging that workers used corporal punishment on children were made against 15 centers. Three of these centers admitted that the incident had happened — or that they had reason to suspect it happened — and one center was conducting an internal investigation into the accusations. All four of those centers were fined, along with a fifth center that had denied the allegations. In the 10 remaining cases, the complaint was either not substantiated or there was no report of any action against the center recorded. Like Jordan, many child care center directors say licensing officials do a fair and thorough job interviewing multiple staff members one-on-one after a complaint, as well as checking the area in which an incident allegedly happened. The officials typically do not interview children because, according to the health department, they are not trained to do so. Complaints about daycare centers, particularly for one-time occurrences, can be hard to verify — especially without significant time or resources, something both the Mississippi Department of Health and experts agree the agency sorely lacks. For years, Mississippi has chronically underfunded many state programs, including its education and child welfare systems. The health department’s Division of Child Care Licensure has a budget of just over $2 million for fiscal year 2016 but $350,000 of that is earmarked to create the electronic database that will eventually allow parents to access the results of center inspections online. That leaves roughly $1.7 million — or less than $1,150 per licensed center — for all inspections, follow-up visits, complaint investigations and technical assistance visits after centers self-report children being seriously hurt. Child Care Aware recommends that each licensing official be responsible for no more than 50 child care programs. Four states and the Department of Defense meet this benchmark, while 32 states have a center-to-licensing staff ratio of more than 71-to-1. During fiscal year 2015, Mississippi’s officials each had an average caseload of 92, up from 88 the year before. The department has 19 licensing officials whose primary job is to conduct inspections and is trying to fill seven vacancies. With a starting salary of $26,146, candidates for the job are hard to attract. More money allocated by the state to the child care licensing division could help reduce caseloads and increase training for licensing officials, health department officials said. A new official spends six to seven months training with a supervisor and other licensing officials before conducting inspections alone. Increased funding could also help the licensing division battle employee turnover. The office has developed a career ladder program designed to retain licensing officials but has yet to receive the funding that would allow it to roll out the program. The governor’s office declined to comment about funding for child care licensing for this article. 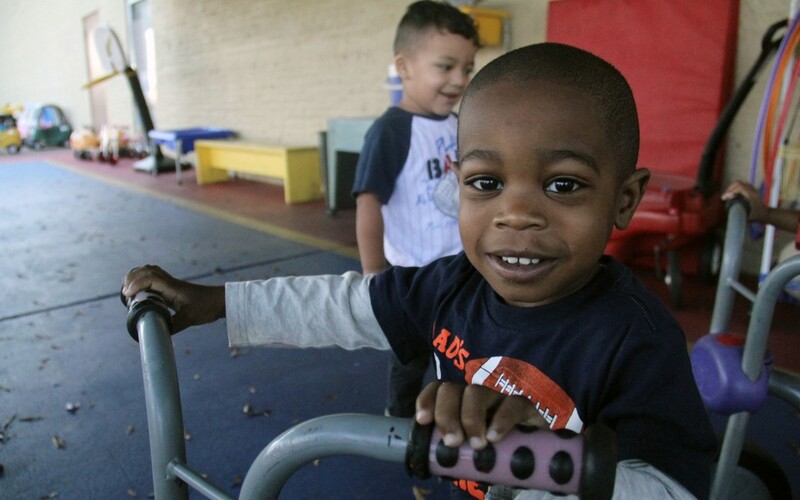 Hundreds of child care centers in Mississippi also face tight budgets. They often must base tuition rates on parent income, and Mississippi’s median income is the lowest in the country. 63 percent of child care centers reviewed by The Hechinger Report were out of compliance with at least one regulation. 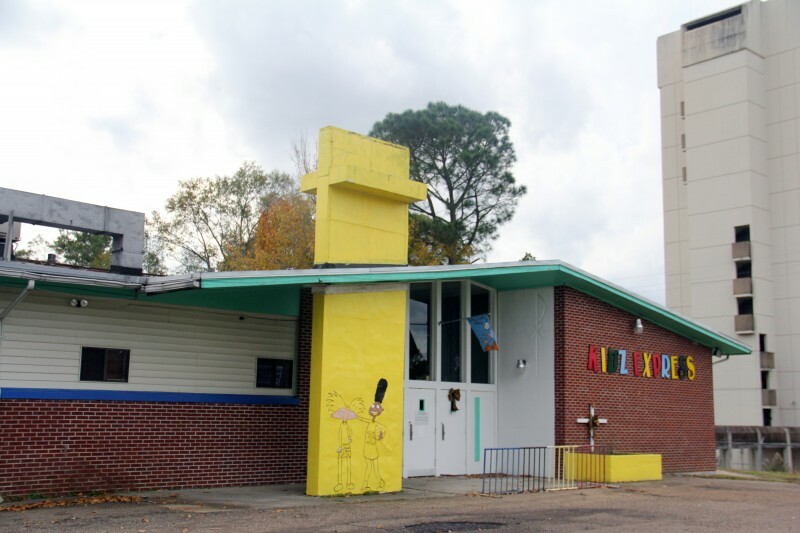 Barbara Haymer, owner and director of Yazoo City’s A to Z Preschool, said that her child care center is the “cheapest in town,” charging $70 a week. She pays her teachers minimum wage, $7.25 an hour, but if they have a college degree they can earn up to $8 an hour. She’s started collecting coins in a plastic jar on her desk to help pay for supplies. Haymer said health department fines have cut into her shoestring budget. Between May 2011 and November 2013, A to Z Preschool was fined $3,750 for violations such as failing to maintain a proper staff-to-child ratio. It was last cited in the reports reviewed by The Hechinger Report for lacking proof of insurance for transportation. Centers that break a rule may be fined $25, $50 or $500 for each offense and $100 or $1,000 for certain repeated offenses — depending on the type of violation. Under a separate law, centers may be fined $5,000 for failing to report suspected child abuse or neglect. In the inspection reports examined by The Hechinger Report, centers were almost never fined for $25 offenses, such as improperly storing infant formula. The $500 fines are reserved for the most severe offenses — like leaving a child outside the center alone or failing to prevent the permanent disability or death of a child. Records revealed such fines were imposed twice in the period reviewed, in both instances for leaving children alone on vans — and in one case the fine was reduced to $250. No centers have reported child deaths in the last five years, according to the department of health. Most common were $50 fines, which can sometimes be multiplied. If a center leaves two children alone in a room, for instance, it can be fined $100 — $50 for each child. Because of the way inspection records are kept, it’s difficult to know when a center has been fined. Often a center is threatened with a penalty for a violation, but is given time to prove to the Department of Health that it’s not breaking any rules. For instance, workers at a center might not be able to find their CPR/First Aid certification during the inspection. They can fax it in afterward and avoid a fine. 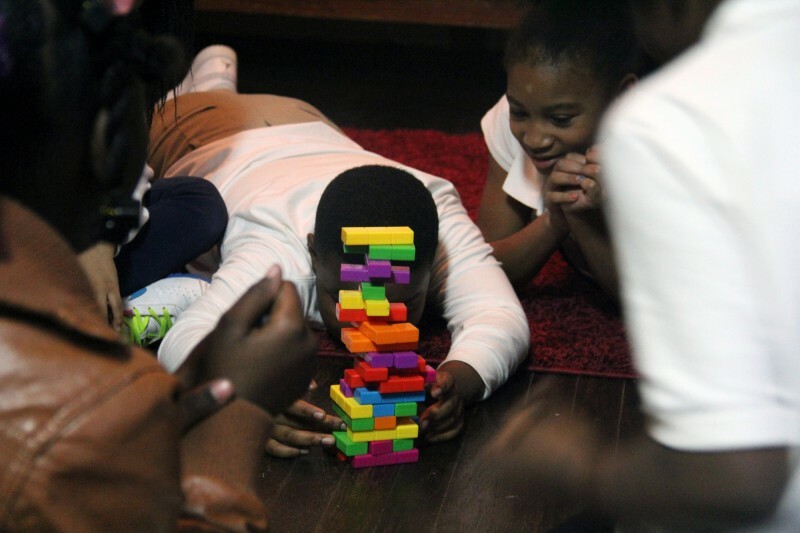 At one center, 59 children ages 1 to 4 were in a room supervised by one adult. Yet whether workers ever send in the required information is rarely reflected in the state’s files, limiting the value of such inspection reports for parents. In contrast, New York City’s child care inspection website lists not only violations, but also shows confirmation that problems have been fixed. Haymer said that in some cases the infraction just comes down to poor timing, but that isn’t reflected in the records. Her center was fined five times in two years for not meeting the staff-to-child ratio, but she said she doesn’t know what she could change. Yet breaking a rule does not always result in a penalty. Of the 25 centers in the sample that reportedly failed to meet the staff-to-child ratio, 9 had a letter or other indication in their file indicating they’d been fined. In the records reviewed, it wasn’t always clear whether centers had paid the fine or protested the inspector’s findings with the health department. Mississippi ranked 38th in child care oversight on a list that included all 50 states, the District of Columbia and the Department of Defense, according to Child Care Aware. Licensing officials have discretion in deciding when to give penalties, according to the health department. Several center directors said the department has never been lenient with them, regardless of the circumstance, even if the center fixed the problem while the official was present. The directors said they feel like some licensing officials come in looking for problems. That’s the main complaint that the University of Mississippi’s Cathy Grace hears about the health department inspections. The Hechinger Report’s review of documents and interviews suggest the PEER finding may still hold true. At least 11 child care centers left children alone with workers for whom they had no FBI background check on file. The inconsistencies extended to whether licensing officials recommended that staff attend training or required follow-up visits to check if a correction had been made. 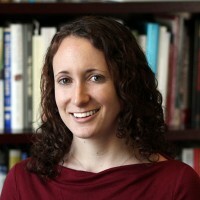 For example, the review found that of the 60 centers cited for having water that was too hot, nine were told to send a written statement once the problem was corrected, nine were told to send the written statement and that a follow-up “may be needed,” 19 were told they needed a follow-up, four were told they “may” need a follow-up and records for 19 centers did not indicate how or if the health department intended to monitor compliance. Craig said that turnover among health department staff may contribute to this problem. “While we continue to work on improving consistencies in our inspection process, I would think some of the inconsistencies seen are probably related to staff turnover and the number of new inspectors that are in training cycles,” he said. Several long-time center directors reported instances in which a condition that had been approved by one official was cited as a violation by the next. Such flip-flops tend to defeat the purpose of regulations, said Kyle Snow, director of the Center for Applied Research at the D.C.-based National Association for the Education of Young Children. Child care center providers tend to fall into two distinct camps. In one group are directors who view regulations as the bare minimum needed to ensure basic safety. Or, as Lesia Kemp, director of Funtime Preschool in Clinton, put it, the regulations are designed “to keep the kids alive and send them home with the right people.” These directors say they have to go above and beyond to be a quality center, and they hire enough teachers and buy sufficient supplies to do so. In the other camp are centers like A to Z, whose directors say the regulations aren’t particularly hard to follow, yet they still struggle to meet them on a consistent basis. 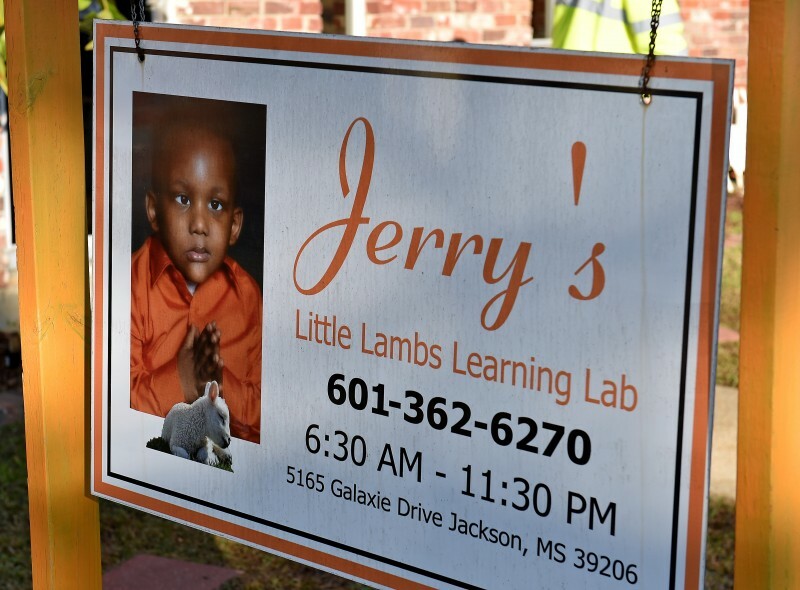 When JoAnn Lindsey first opened her Jackson center, Jerry’s Little Lambs Learning Lab, she said it was hard to meet all the guidelines because there were so many of them. But she’d promised her son Jerry, the center’s namesake, that she would open a school. He died at the age of 6 from a brain tumor. His photo hangs in the center just inside the doorway — on one December morning it presided over a pizza party for a birthday in the toddler class. Over four years, Lindsey received a total of $1,150 fines for problems like exceeding facility capacity and leaving children alone with a caregiver who has not undergone an FBI background check. The largest monetary penalty was in the first year of operation, and Lindsey said she knows the rules and regulations and is doing better now. Her motivation for improving her center doesn’t come from fines, she said, but from a drive to honor her son’s memory and do right by the kids she serves. Experts say fines aren’t the only, or even always the best, way to get centers to comply with regulations. In fact, officials from child care licensing agencies in 16 of the 40 states that answered a Hechinger Report survey reported that they do not fine centers for violating regulations. 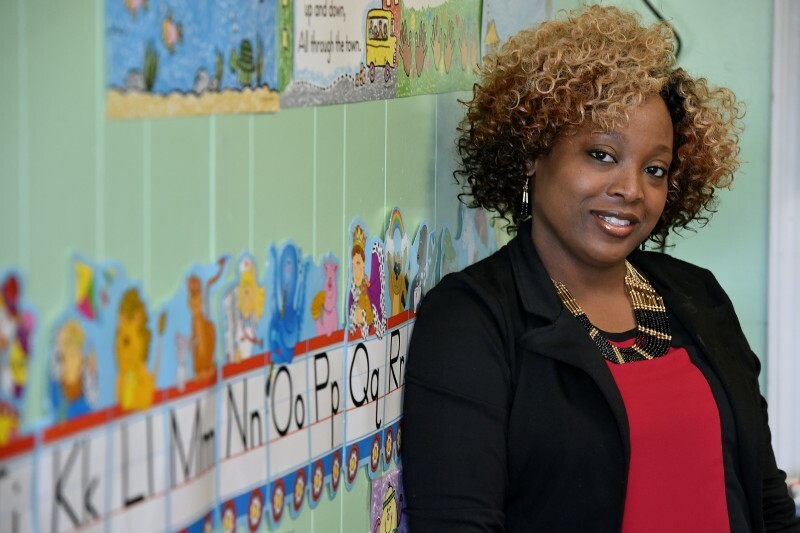 “In my mind, it makes better sense to think about it on the other end — to provide those carrots, those resources and support,” said Dionne Dobbins, Child Care Aware’s senior director of research. Some Mississippi organizations have attempted to help centers by providing grants and training. Those programs have limited funds, however. This “technical assistance” can be something as simple — and useful — as being told who to call to fix a problem, or direct advice about how to remedy a possible violation, some center directors said. “They will come in and give you options as far as how you can rearrange a room or ideas about changing out the staff schedule,” said Gwendetta McField, owner of the Little Blessings from Heaven center in Terry. McField said she’s never received a fine for being out of compliance. Other centers found “technical assistance” from the health department too limited to be helpful. The form also asks when the center will comply with requirements. 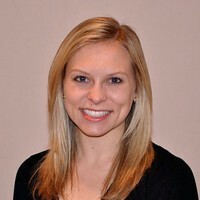 While the health department may recommend that center employees take a certain training course, Lindsey of Jerry’s Little Lambs Learning Lab said it would be more helpful for the health department to offer on-site training for center workers. Lindsey spoke to reporters while standing in the driveway of her North Jackson center, two small brick buildings connected by a carport and decorated with sheep lawn ornaments. Right now, she only uses one of the buildings. After saving up for a year, she’s in the process of expanding into the other building so she can take in more children. But she said she’s counting on nonprofit programs in the state — not the health department — to help her provide more for the kids. This story was produced by The Hechinger Report, a nonprofit, independent news organization focused on inequality and innovation in education. In the coming weeks, this series will look at the challenges providers face in staffing their centers, how parents afford daycare, unlicensed centers and solutions for Mississippi and other states.